Learn More About the Responsive Home Project Here! 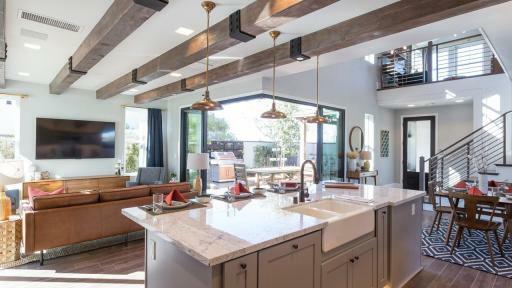 Today, Pardee Homes, a member of TRI Pointe Group, announced the completion of the Responsive Home project, in partnership with BUILDER Magazine, to design, build and sell the ideal home for today’s young home buyers. 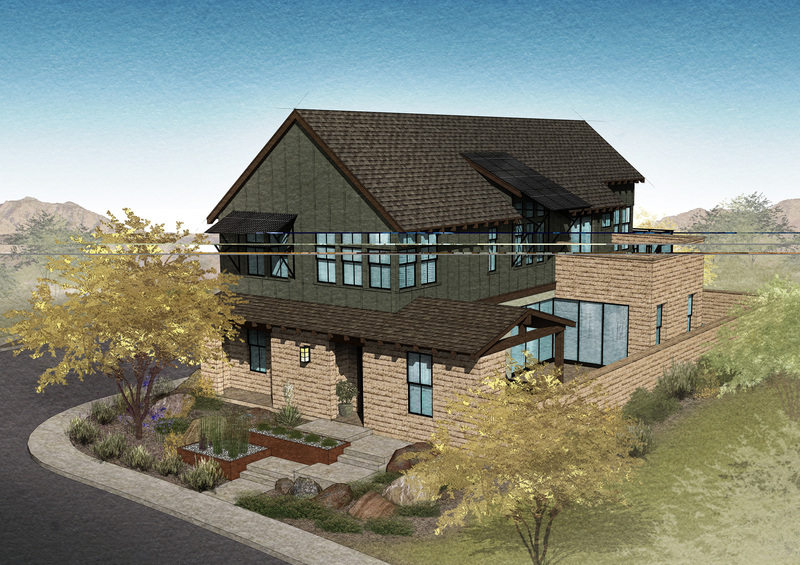 The two, new concept homes will be unveiled during this week’s NAHB International Builders’ Show® (IBS) in Las Vegas. 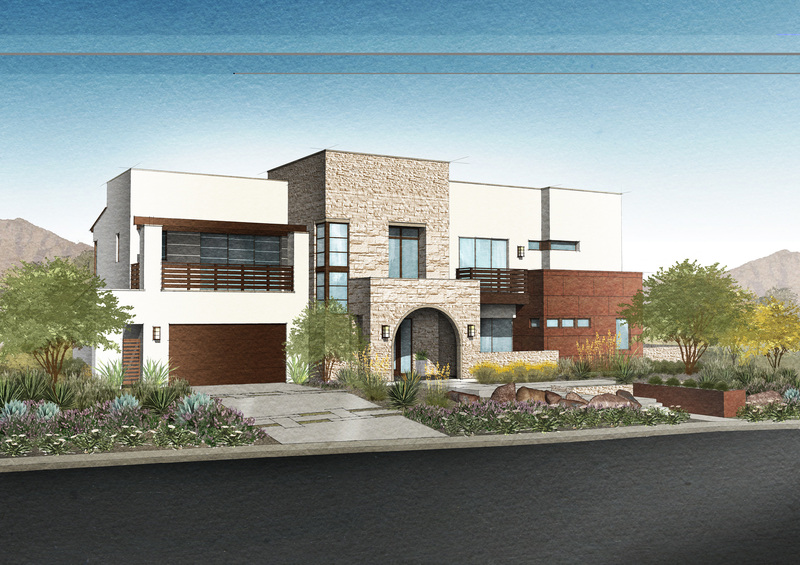 Located in suburban Henderson, Nevada, just a few minutes away from the urban conveniences of the Las Vegas strip, the 2,145-square-foot Contemporary Farmhouse and the 3,194-square-foot Contemporary Transitional cater to Millennials’ desires for design and performance at a price point that young buyers can appreciate. Built in partnership with architect Bassenian Lagoni; landscape architects, AndersonBaron; along with celebrity interior designer Bobby Berk, the project’s Creative Director and fellow Millennial; the Responsive Homes maximize new home owners’ financial investment by increasing the longevity of the home’s lifespan. The concept homes are located within the master-planned Inspirada community and will be available for purchase in spring 2016. Millennials represent approximately 77 million people in the U.S., which is about one-quarter of the total population. With $200 billion annual buying power, catering to Millennials’ needs and desires is big business across the marketplace – from cell phone carriers, and now, to home builders. 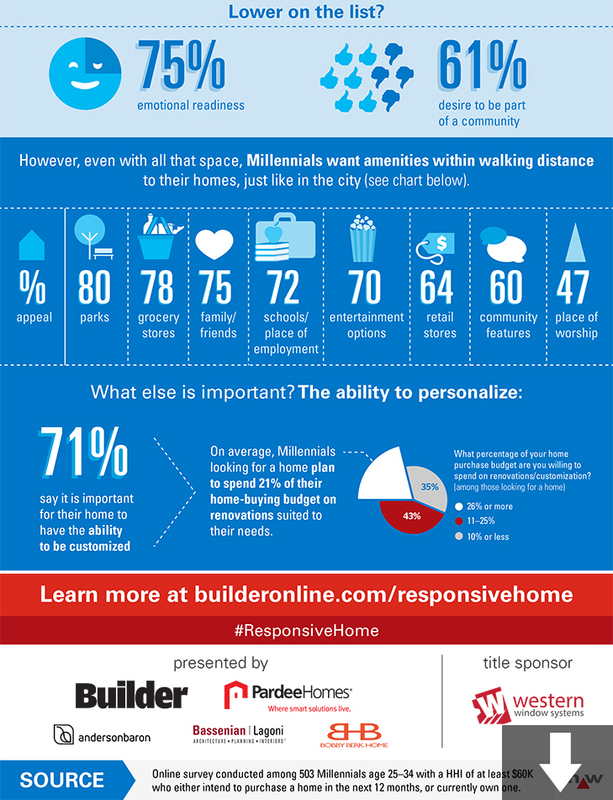 The Responsive Home is built exclusively to include the most important elements and amenities in a home, according to young buyers. 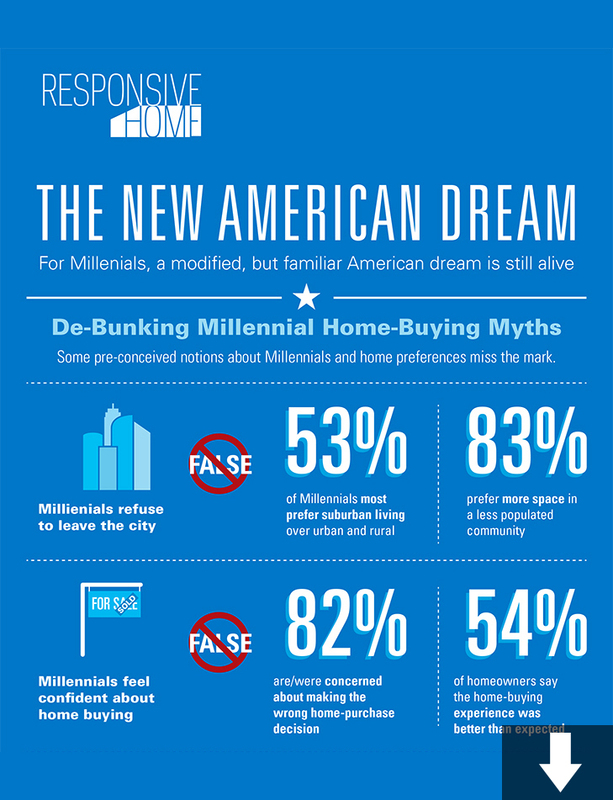 As part of the project, a nationwide survey was conducted by Ketchum Global Research and Analytics with Millennials currently home shopping to source opinions and insights on their ideal home. 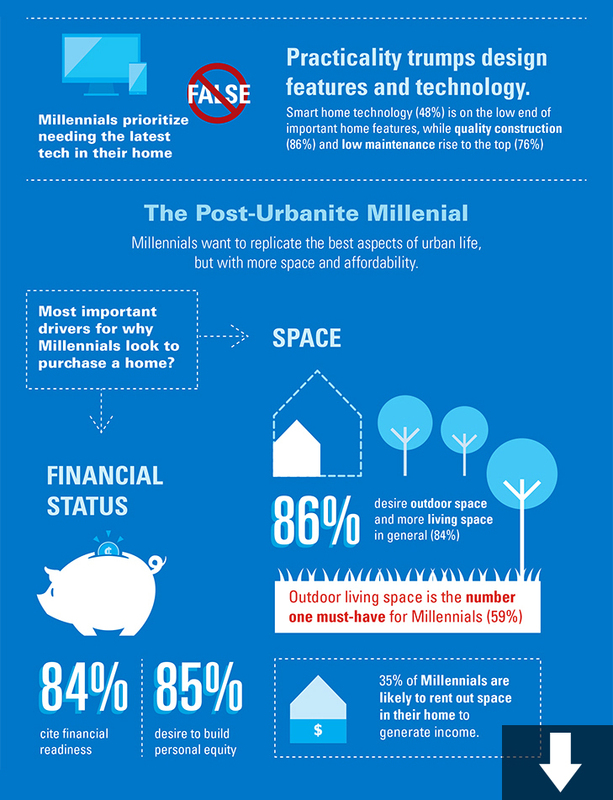 The research found that 84 percent of Millennials surveyed feel that they are financially ready to purchase a home. Both Responsive Home floor plans, the Contemporary Farmhouse and the Contemporary Transitional, blend livability with modern function, catering to the most important request of surveyed younger buyers – more space, specifically outdoors. The homes offer evolution-over-time floor plans designed to flex as a home owner’s needs change because 71 percent of Millennials surveyed said that it was important for their home to have the ability to be customized. At 2,145-square-feet, the Contemporary Farmhouse features three to four bedrooms with three and a half to four and a half bathrooms plus an optional 384-square-foot flat over the garage. In addition, this home has a smartly designed downstairs bedroom suite with a full bath, kitchenette, and an outside entrance. As Millennials become ambassadors for the sharing economy, project designers envision this space being used for short- or long-term rentals. This home also offers additional flex space at the front of the home that converts the porch to a play room for the kids, office or fitness room and a second floor loft that converts to an extra bedroom. 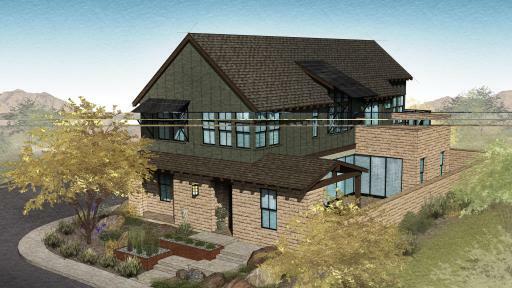 The Contemporary Farmhouse will have an estimated list price starting in the low $300,000s. 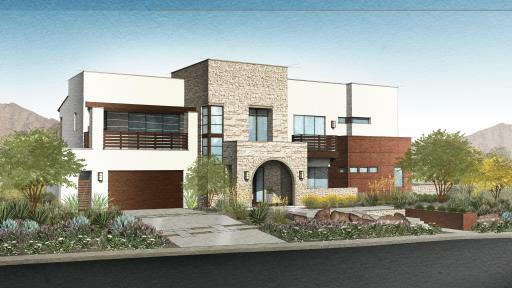 The Contemporary Transitional (3,194 square feet) offers four bedrooms, three and a half bathrooms, and a spacious casita behind the garage that provides a covered private patio, small kitchen, full bath and optional adjoining fitness room. Responding to the desire of young buyers for interaction with the outdoors, this home provides multiple opportunities for connecting with nature from the inside and out, including retractable doors that open the living room to the backyard, creating the ultimate home entertaining space. This home has an estimated list price starting in the mid $400,000s. The Millennial-focused Responsive Homes represent the pinnacle of sustainable living merged with beautiful design. These two concept homes take the LivingSmart™ building program that was introduced by Pardee Homes more than 15 years ago to the next level. 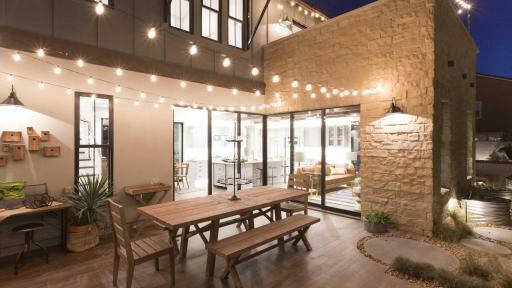 Beyond solar panels and LED lighting, these homes come complete with sustainable living elements that Millennials expect in their homes, including a low-to-no-electric power bill. 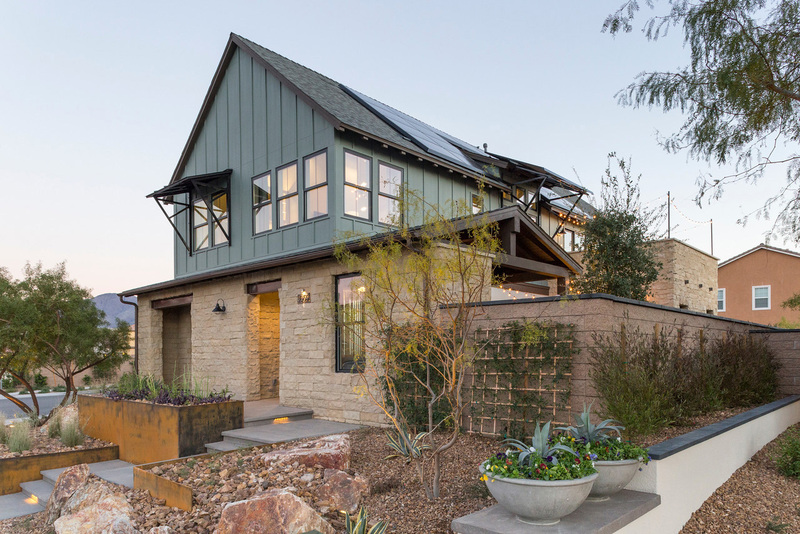 Each garage features an electric car charger that provides a faster charge, and the roofs have smart sensors that detect recent rain and communicate to the garden irrigation system to conserve water. 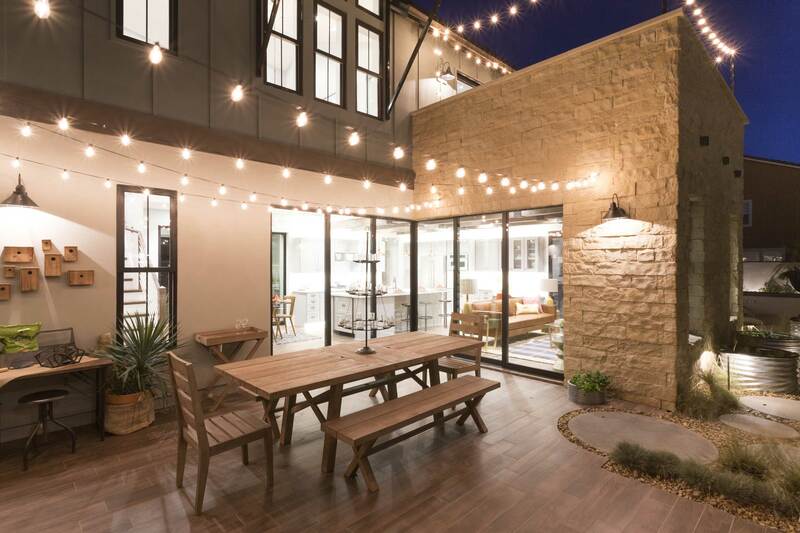 AndersonBaron: The planning and landscape architecture firm is responsible for creating exterior living spaces that are warm, inviting and seamlessly transition exterior to interior living space of the home, which Millennials told us was important to them. Bassenian Lagoni: Award-winning architectural, planning and interior design firm developed the two distinct yet comfortable homes. 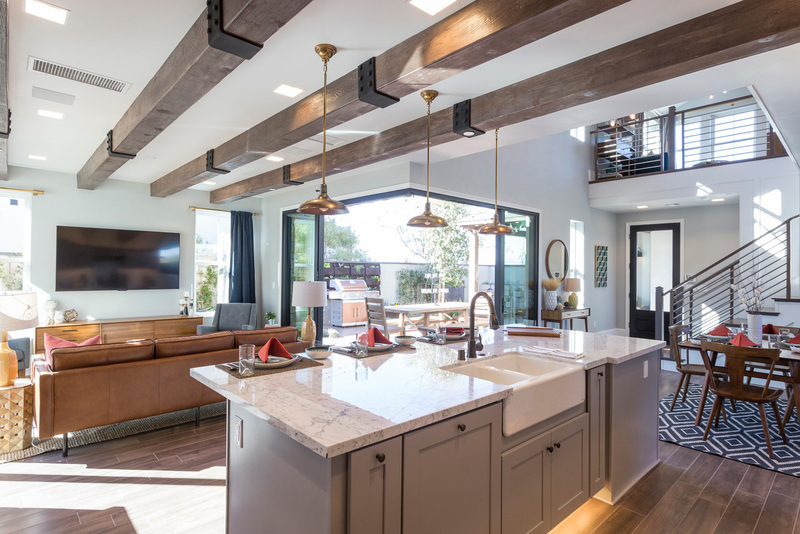 The firm enlisted its own Millennial team to be a part of the design process from concept to build, which adds an additional layer of authenticity to the completed homes. Bobby Berk: Bobby Berk, who is a Millennial himself and owner of the Bobby Berk Home lifestyle and retail brand, is creative director on the Responsive Home Project and is responsible for creating authentic, functional and aesthetically beautiful spaces to complete the homes’ interior and exterior design. Western Window Systems: A leading designer and manufacturer of doors and windows was tasked with providing multi-slide and bi-folding door systems that opened up the flow of the homes with the outdoors. For more information on the Responsive Home Project, please visit BuilderOnline.com/ResponsiveHome, Facebook.com/ResponsiveHome and TriPointeGroup.com/Responsive-Home. 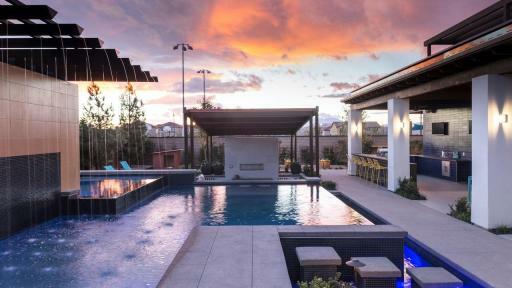 Celebrating more than 90 years in homebuilding, Pardee Homes creates new homes and communities for first-time through luxury homebuyers, in Southern California and Las Vegas. The company was among the first to embrace master-planned community concepts; green homebuilding measures; environmentally sensitive development practices; and customer-focused processes for new home purchase. 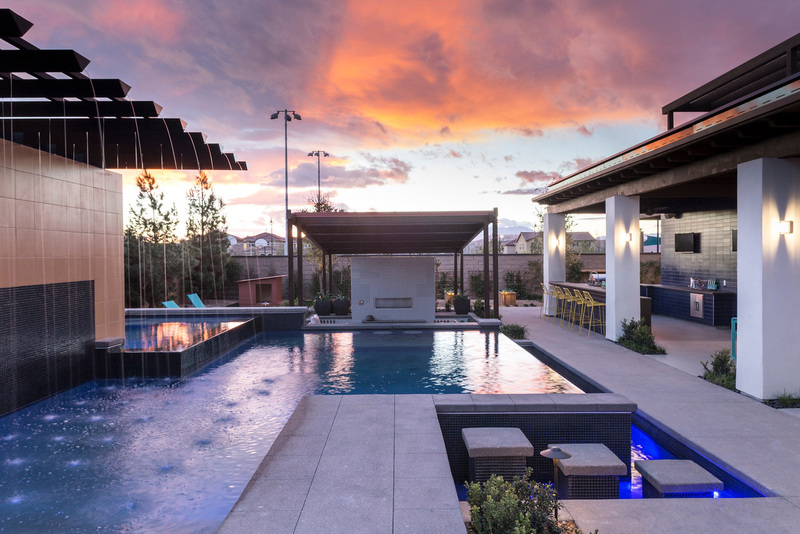 Pardee Homes is also widely known for its steadfast civic outreach, and has earned scores of honors for customer service, green and sustainable building practices, architectural design, master-planned communities and marketing. Pardee Homes is a member of TRI Pointe Group, a family of premium regional homebuilders. 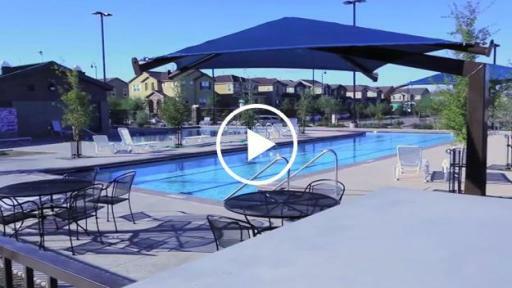 TRI Pointe Group is one of the largest homebuilders in the U.S and was recently recognized as 2015 Builder of the Year and Developer of the Year in 2014. 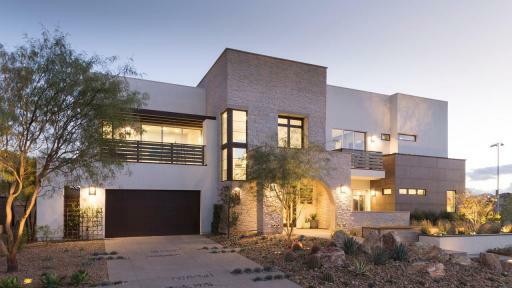 For more information about Pardee Homes, please visit www.PardeeHomes.com.